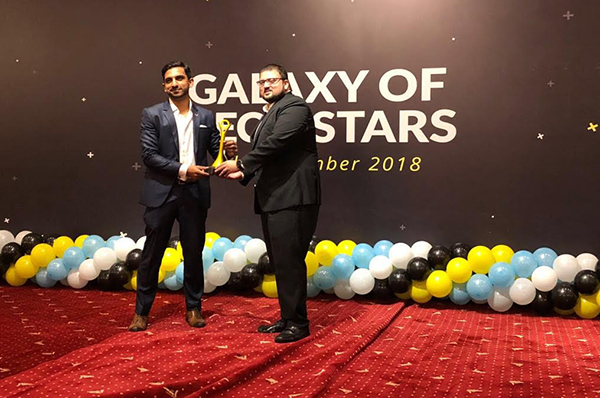 Karachi, 12th September 2018 – Investors Lounge, Pakistan’s leading Financial Markets Analytics provider, emerged as the winner in the Banking, Insurance and Financial Category at the P@SHA ICT Awards 2018. The startup was recognized for its stellar business performance, industry expertise and quality of clientele. Investors Lounge will now represent Pakistan at the 18th APICTA Awards in China, competing with top companies from across 17 countries in the region. P@SHA ICT Awards recognizes the best innovation the Pakistani IT Industry has to offer. Hundreds of leading tech companies from all across Pakistan compete to prove themselves as leaders of their domain. Investors Lounge is a financial information website that generates powerful insights for institutions that invest in the stock market. Through intelligent data and exceptional visualisation capabilities. Investors Lounge helps investment managers take better & faster bets and allows them to generate Alpha for their clients. Investors Lounge is becoming a staple in the investment management industry and currently services some of the biggest names in the industry including Tundra Fonder, BMA Funds, JS Global, The News International, Artistic Group, Vector Securities and Shajar Capital. The Pakistan Software Houses Association for IT & ITES (P@SHA) is Pakistan’s sole trade association representing the IT and IT Enabled Services sector since 1992. Its mandate is to work with the government on policy issues and with all other stakeholders to promote the IT sector and provide platforms that create more opportunities for members of the ecosystem, both domestically and internationally. P.S. Don’t miss the news like this. Subscribe Now!